A few years ago, before there was concrete research on powered toothbrushes, experts claimed there was no significant difference between manual and electric toothbrushes. As long as you brushed at least twice a day for a minimum of two minutes, it did not matter what type of toothbrush you used. But we know differently now. A raft of research has already proven that electric toothbrushes are better at tackling plaque and gingivitis. Even from users’ own experiences, electric toothbrushes are better at removing teeth stains and reaching deep into crevices that a manual toothbrush cannot. Electric toothbrushes are also highly recommended for people who have dexterity problems such as those with arthritis. To help you find the best electric toothbrush, we went out and compared among several brands. We look at their features, expert reviews and most importantly, customer feedback. We choose brands that offer ease of use, versatility and effective cleaning. The three dominant brands in the market are Colgate, Philips and Oral B. We selected the best electric toothbrushes from the wide variety offered by the latter two brands. See our top picks below. We have also included a handy shopping guide if you want to search beyond our recommendations. We tell you what features matter most and answer the most frequently asked questions on electric toothbrushes. If you are looking for a premium electric toothbrush, I highly recommend this. The Phillips DiamondClean, from the acclaimed Sonicare series, has no shortage of dazzling features. It has five cleaning modes that provide for all your dental hygiene needs, a high-perfomance AdaptiveClean brush head and a built-in timer to make sure you give enough attention to all your teeth and gums. Whether you want to get rid of stains, protect your sensitive gums or simply keep your pearly whites clean, the DiamondClean is perfect. Read our full review of Philips Sonicare DiamondClean. USB charger and travel case for on-the-road use. For something in a lower price range but still effective at cleaning your teeth and gums, try the EasyClean, also from the Sonicare series. With its dynamic cleaning technology, it is able to penetrate deep between teeth for a thorough cleaning. As you brush, a 30 second interval timer tells you when to move to the next quadrant until you have reached the recommended 2-minute brushing time. On the downside, it only has one cleaning mode: no sensitive, deep-clean or gum cleaning settings. Read our full review of Philips Sonicare EasyClean. The Genius 9000 is Oral-B’s main competitor to Phillip’s DiamondClean. If you want a premium, feature-packed Oral-B electric toothbrush, I recommend this one. It is actually better than DiamondClean in several aspects. For one, it has 6 cleaning modes ranging from the basic daily clean to a gentle sensitive cleaning mode. While the DiamondClean comes with only a single brush head, the Genius 9000 has 4. You are saved the hustle of buying replacements for quite some time. But the feature that takes the top price is the position detection technology. The toothbrush has a camera to help you brush your teeth better. Read our full review of Oral-B Genius 9000. LED SmartRing for personalized style. Like the Genius 9000, the 6500 CrossAction toothbrush also comes with a number of tech features. They include Bluetooth connectivity to guide your cleaning, a pressure sensor to protect your teeth and gums from damage and a SmartRing to personalize your toothbrush. It has six cleaning modes including sensitive clean and gum massage. 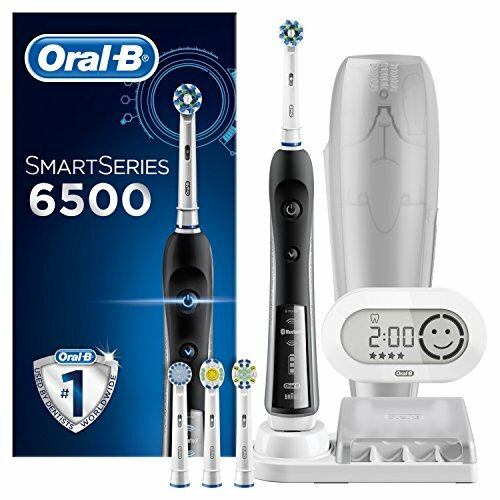 Read our full review of Oral-B Smart 6500. If you prefer Oral-B electric toothbrushes and are more price sensitive, the 3000 CrossAction is one of their best. Its best feature is the 3D cleaning brush head. Instead of the usual back and forth oscillation, this brush head moves in all directions, which ensures a deeper reach and thorough cleaning. There is also a pressure sensor embedded inside to warn you when you brush too hard, which could damage your teeth. 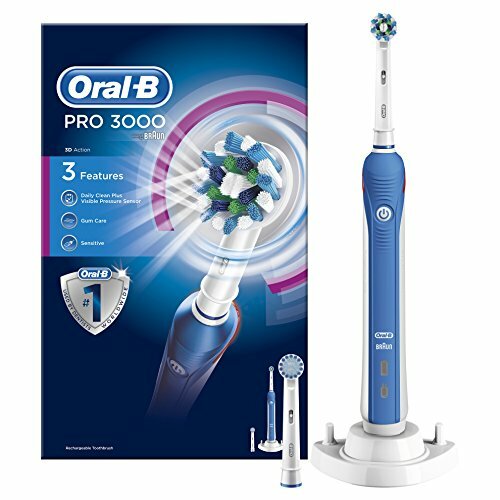 Read our full review of Oral-B Pro 3000. Round brush head with 3-D cleaning. Do you need an electric toothbrush? That’s an important question to ask before you even get to choosing the best brands and features. The answer is not a straightforward yes or no. It depends. If you have dental problems like gingivitis and stained teeth, then an electric toothbrush is better. It is also the best choice for people who have lost some arm and hand functionality. Considering that research has shown that powered toothbrushes are better at plaque removal and teeth whitening, I would say that most people could benefit from using an electric toothbrush over a manual one. Without even considering their cleaning ability, electric toothbrushes are so much easier to use. Most come with bonus features such as a timer, pressure sensor or a Bluetooth-connected app to help you brush better. When you go shopping for an electric toothbrush, you’ll find that Phillips and Oral-B are the two most popular brands. Colgate toothbrushes are also a favourite for many people. But there are so many models from each brand that it can be confusing to choose the right one. The most important thing is to know what features will meet your dental hygiene needs. Start with these features before looking for bonus ones (such as Bluetooth connection) that may not make that big of a difference. Here are the most important features to consider as you compare among different brands and models. Electric toothbrushes are classified based on how they clean your teeth. The two major types are rotating and vibrating toothbrushes. Rotating toothbrushes move the brush head in a circle and some have individual spinning bristles. Rotating-oscillating toothbrushes are a variation of rotating toothbrushes. They rotate in both directions around a tooth to ensure thorough cleaning. You’ll also find counter-oscillating toothbrushes where individual bristles spin in different directions. Another variation is a pulsating electric toothbrush. This type adds a forward and backwards pulsating movement in addition to rotating and oscillating motions. It performs well at removing plaque. The other major group, vibrating toothbrushes, consists of sonic and ultrasonic electric toothbrushes. They work by vibrating at very high speeds, which breaks up plaque and dislodges bits of food from between teeth. Other types of electric toothbrushes include side-to-side (they move left to right at high speeds) and dual head (two brush heads that move in different ways). Most modern electric toothbrushes are sonic or ultrasonic. Others, such as the Phillips Sonicare series, are side-to-side. If you have gingivitis a lot of plaque build-up or stained teeth, I recommend a sonic or ultrasonic toothbrush. For most people however, one type of toothbrush cleans just as well as the other. So don’t fret so much about the type. As long as it comes from a trustworthy brand and customer feedback is mostly positive, it’s good. The brush head is the most important part of a toothbrush. Companies put a lot of effort in creating high-performance brush heads, adding unique features and technology to improve cleaning performance. You’ll find companies using words like AdaptiveClean and Dynamic cleaning to describe their brush heads. Don’t be confused by all this fancy terms. The first thing to check is whether the toothbrush comes with head replacements. Brush heads are not cheap to replace and having several included with the toothbrush can save you some money. Next, check whether the brush heads will serve all your brushing needs. If you have sensitive teeth and gums, a brush head with soft bristles is best. Other brush heads are designed with extra thin bristles to create a flossing action when you are brushing. Others come with 3D movement for deep cleaning. Basically, check what types of brush heads are included and whether they’ll serve all your needs. I highly recommend buying a toothbrush with several cleaning modes. This is especially important if your preferred model does not come with extra brush heads that you can interchange to fit all your dental needs. Daily/basic cleaning – for everyday cleaning. Deep cleaning – for enhanced brushing and better plaque removal. Sensitive cleaning – for those with sensitive teeth and gums. Gum stimulation – stimulates the gum to improve blood circulation. Beneficial for those with gingivitis. Other common cleaning modes include whitening (to remove stains and buff the teeth) and tongue cleaning (removing plaque build-up on tongue). Try to get a toothbrush with at least three cleaning modes. 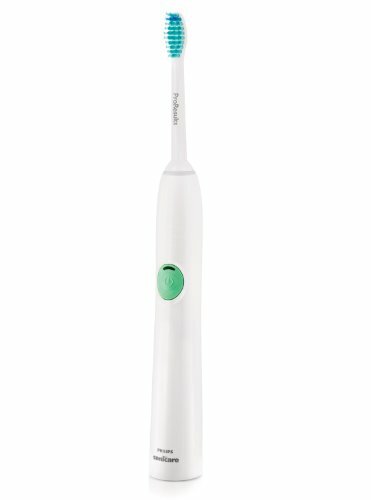 If you buy one with only a single mode, such as the Philips Sonicare EasyClean, make sure it is compatible with other brush heads. This allows you to use specialized brush heads. Most electric toothbrushes have a long battery life. The DiamondClean for instance can last for 42 2-minute brushings. That comes to around three weeks of battery power on a single charge. We recommend getting a toothbrush with nothing less than a weeklong battery life. This will ensure that you can even travel with it without worrying about a dead battery. Here are some extra features and accessories that will make the toothbrush easier to use and improve your dental hygiene. Timer – most electric toothbrushes come with a timer that helps you brush for the recommended two minutes. The timer alerts you every 30 seconds to move to the next section of your teeth. Since you are most likely not carrying your phone to the bathroom, the built-in time will come in handy. 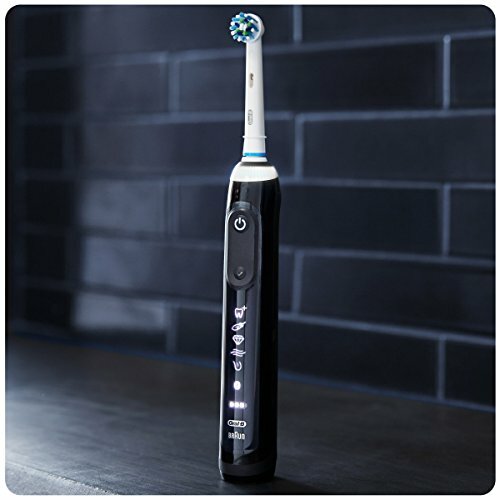 Pressure sensor – Several Oral-B electric toothbrushes have built-in pressure sensors. The sensor detects how much force you are applying on your teeth. The sensor will then alert you through a vibration or trigger the brush head to stop moving or slowdown. Travel accessories – If you travel a lot, look for a toothbrush that comes with a travel charger (usually a USB cable) and a travel case. The Oral-B Genius 9000 is one of the best travel-friendly toothbrushes. 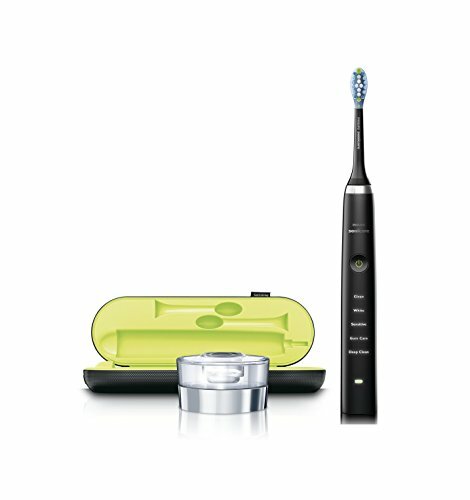 It comes with a smart travel case that can charge both your toothbrush and phone. Other features that we don’t consider must-haves but may appeal to some readers include smart LED lights, reminder bristles, Bluetooth connection, position detection and app. But be careful not to overpay for a feature that won’t really help you much in brushing your teeth. Q: Is an electric toothbrush better than a manual one? Most research indicates that for people with good dental health, a manual toothbrush can be roughly as good as an electric one as long as you brush your teeth properly and for the recommended amount of time. If you suffer from gingivitis or your teeth and tongue tend to have a lot of plaque, an electric toothbrush is better. It is also recommended if you want to whiten teeth and for those with hand movement problems. Q: Which toothbrush heads are the best? It depends on your brushing needs. Different brush heads are designed to provide different forms of cleaning. Some have a flossing-like cleaning action while others are great for cleaning your gum and tongue. So choose brush heads based on your dental needs. I recommend buying a toothbrush that comes with several brush heads of different types. If your toothbrush has no extra brush heads, consider looking for compatible ones that you can switch to when you need a different mode of cleaning. Q: Do I need to replace brush heads often? Worn out brush heads will not clean your teeth properly. Replace your brush head as soon as it begins to get frayed or shows any other signs of wear. Some brush heads are made with reminder bristles that change colour to alert you that it’s time to replace it. For smart toothbrushes, you may have an app that tracks usage and tell you when to get a replacement. Phillips recommends replacing the brush head after three months. This is based on a twice-a-day brushing routine.